“Buk, buk, book,” Jared whispers, but loud enough for everyone to hear. Eight-year-old EllRay Jakes is sick of getting picked on. But every time he tries to defend himself against the class bully, he’s the one who gets told off. It’s just not fair! Then his dad offers him a deal: if EllRay can stay out of trouble for a week, they’ll go to Disneyland! That means EllRay has a lot to prove. 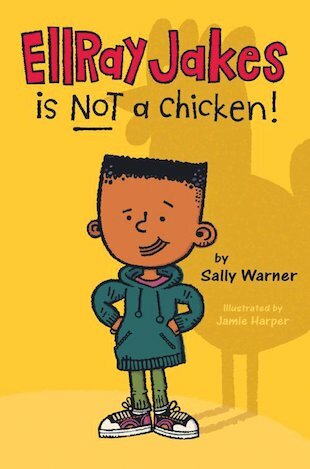 He’s not a troublemaker, and he’s not a chicken… This humorous and true-to-life story is just right for boys and girls who are beginning to read chapter books.